Good day too all the home decor enthusiasts out there! 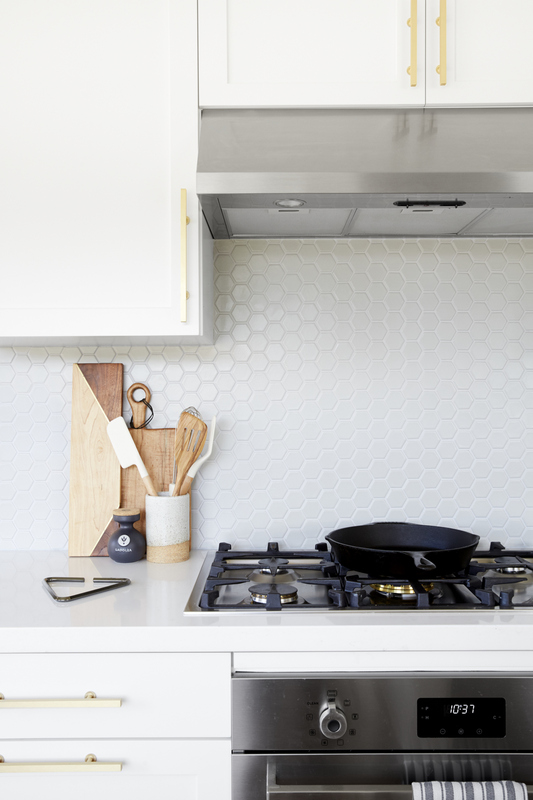 You must be looking for some great ideas to update your home. 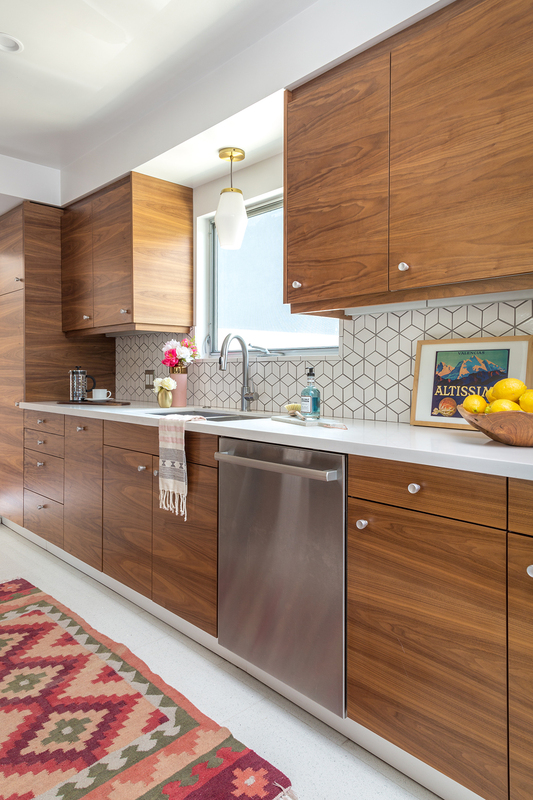 This time, we have some fascinating ideas for your kitchen. Do not think of your kitchen only as a place where you would prepare your meals. Rather, think of it as a space that you are free to play with and enhance in the best possible way. 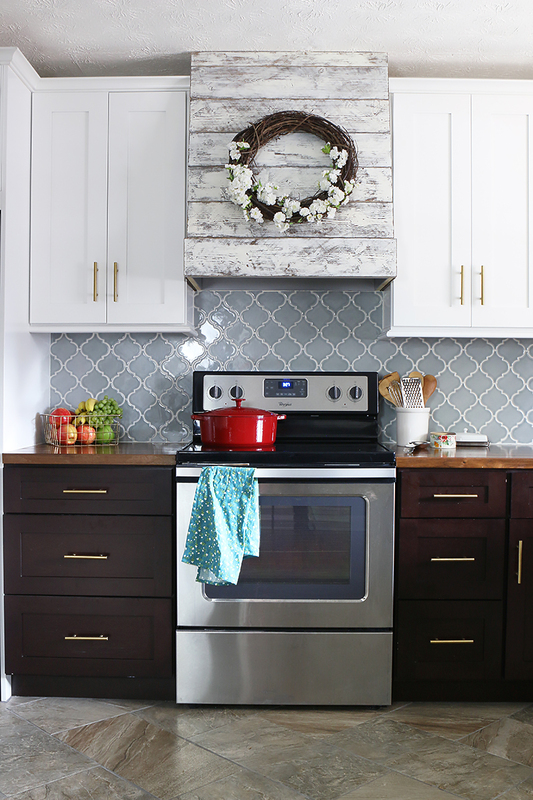 Check the Decor Tricks from the most stylish kitchens and learn how to do it! 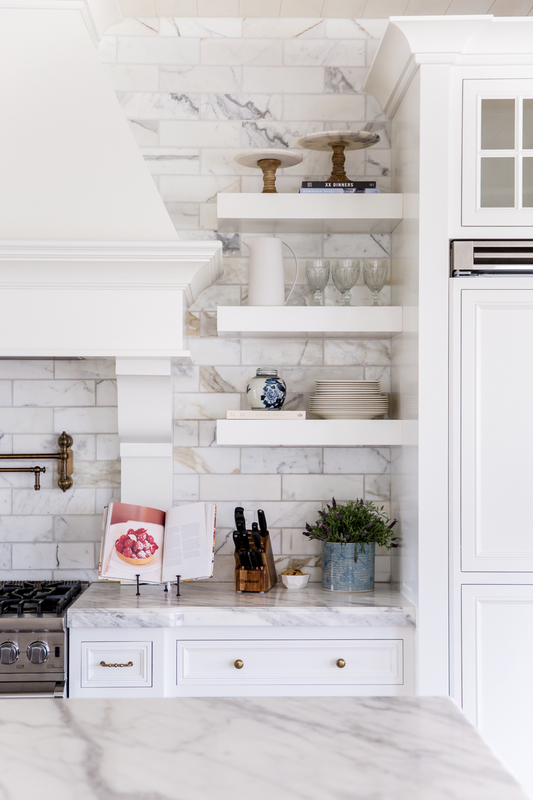 In the most stylish kitchens, there is no place for clutter. 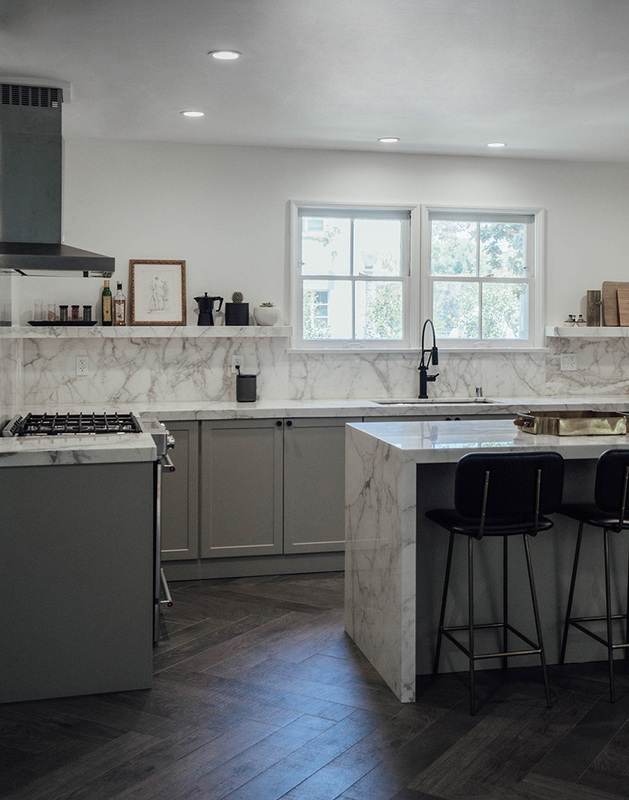 Every single detail that you will see on the counters is intentional and simply belongs there. 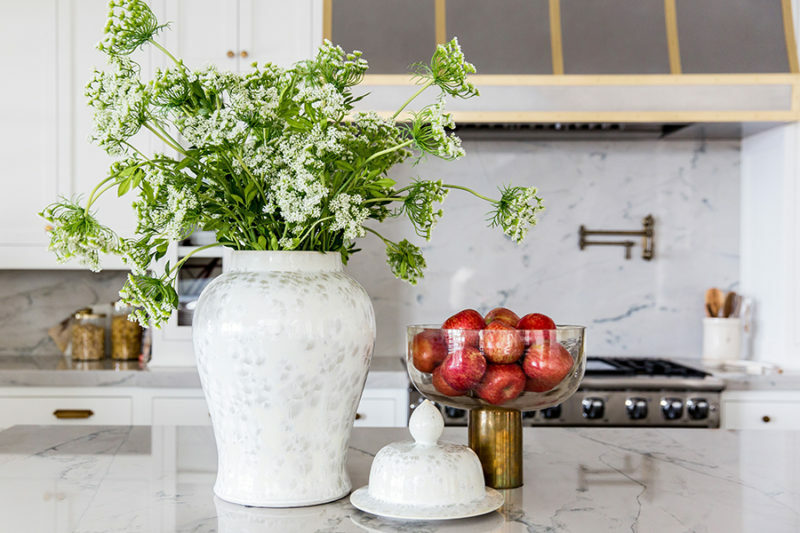 Feel free to decorate the empty surfaces in your kitchen, but always keep them clutter free. Decorating with the thing that you actually use is a good idea. 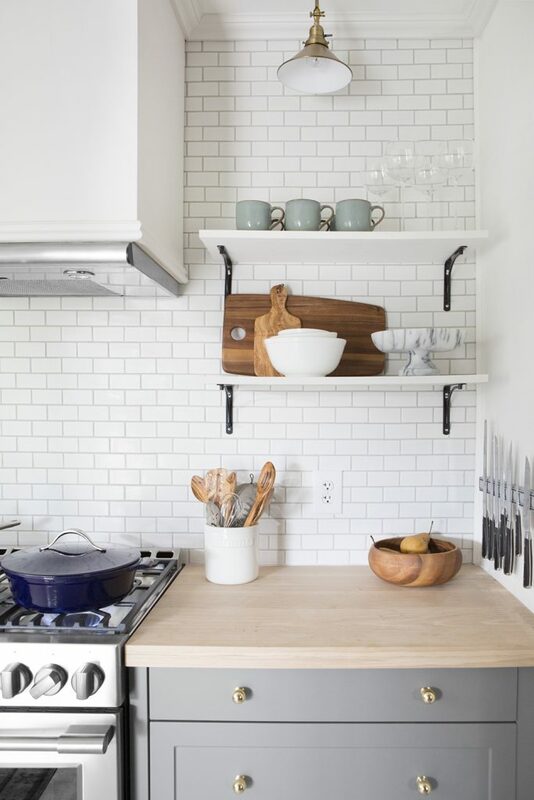 Since you don’t have so much space in the kitchen, use the things that you already have such as:trays,dishes and cutting boards.Even if it means that you have to buy new ones. Do not display a cutting board if it looks worn out and damaged. 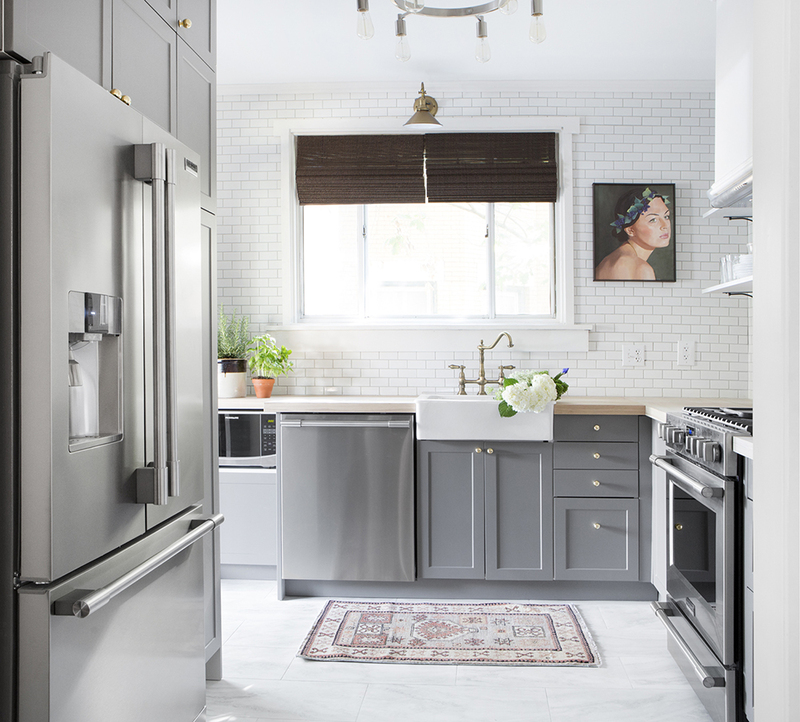 An area rug is a nice way to bring some visual interest in the kitchen. 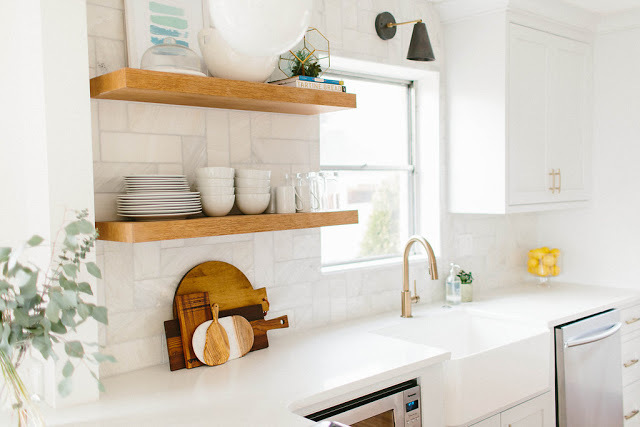 So feel free to add a colorful one in a simple kitchen. Despite for looking awesome, it will also keep your feet warm and you don’t have to step on cold tiles anymore. Books are often used in home decor. So, why not use them to spice up the kitchen as well? 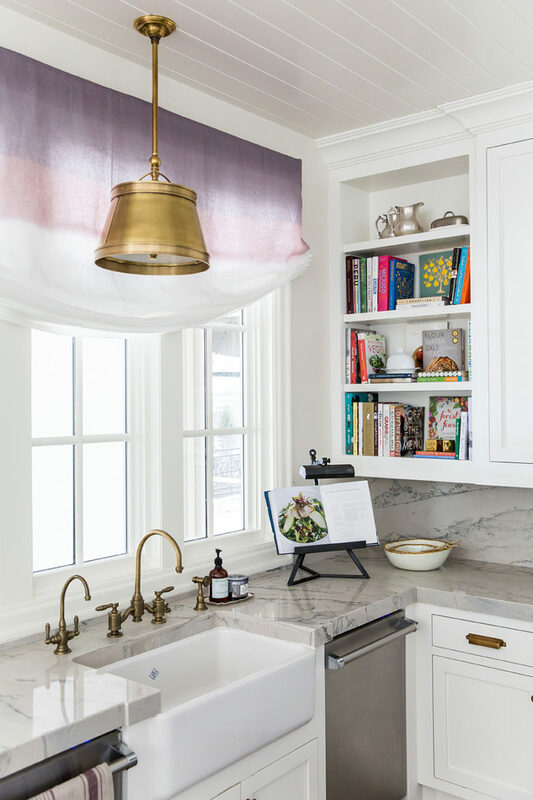 You can display your cookbook collection and have it handy when you want to cook something tasty. 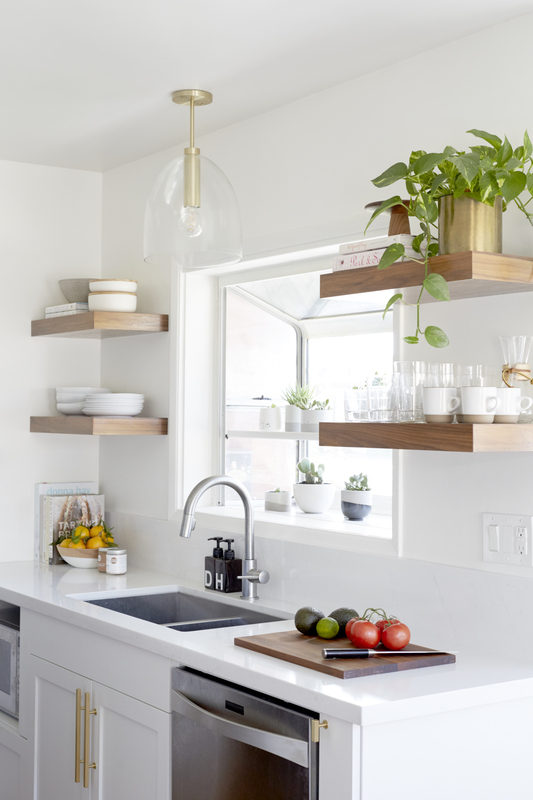 Shelves in the kitchen are a good way to go. 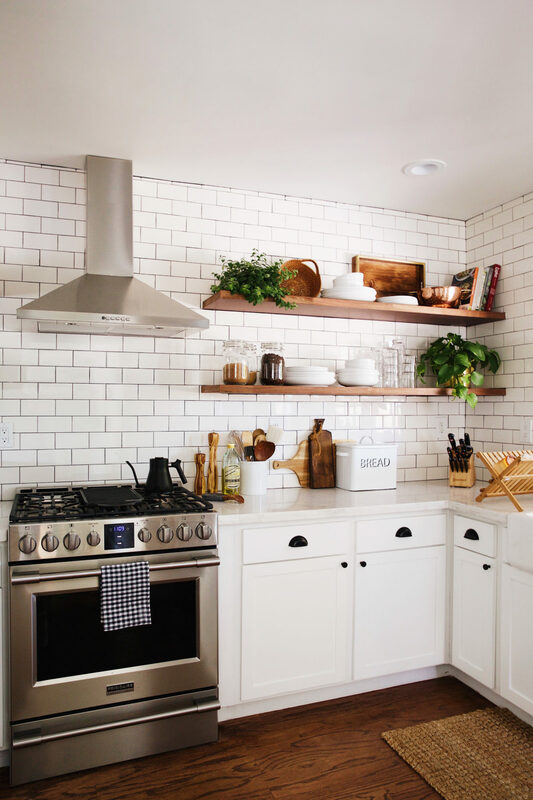 Open shelving in the kitchen is the ultimate trend. And that means that you need to be careful when displaying items, since everything is visible. 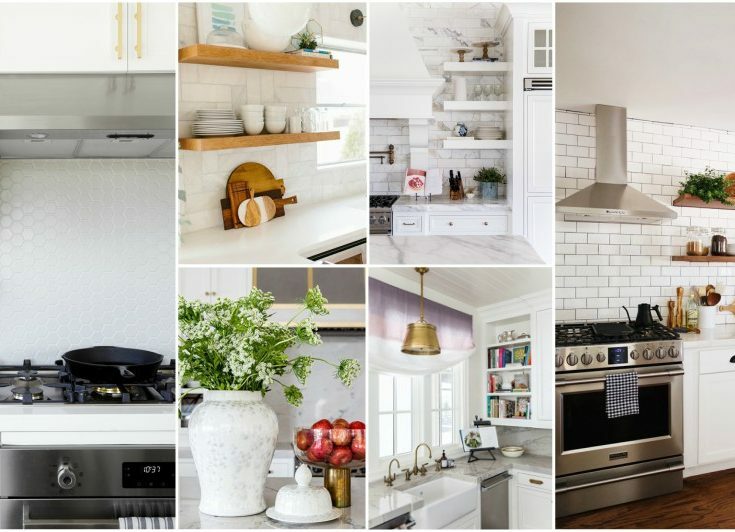 They tend to be the focal point in a kitchen. So, show off your best collection and do it with style.Play with texture, height and size if you want to do it like a pro.